Industrial printing and fabric-dying processes generate vast amounts of wastewater. The removal of these industrial dyes, many of which are harmful to both aquatic and human health, is mandatory. In this NJC paper, Jianyong Zhang, Cheng-Yong Su and co-workers (Sun Yat-Sen University, Guangzhou, China) report a method for generating robust and mechanically stable nanotubes by modification of a supramolecular gel via a covalent capture reaction. The surface of the resulting structure is cationic, allowing for the effective and selective adsorption of anionic dyes over cationic or neutral species. The authors also report that the materials can be reused for dye capture without losses in their capture ability. Photoluminescent, lanthanide-containing, organic-inorganic hybrid materials find applications in various fields, such as: fluorescent biology, fluoroimmunoassays, NIR-emitting probes and amplifiers for optical communications. 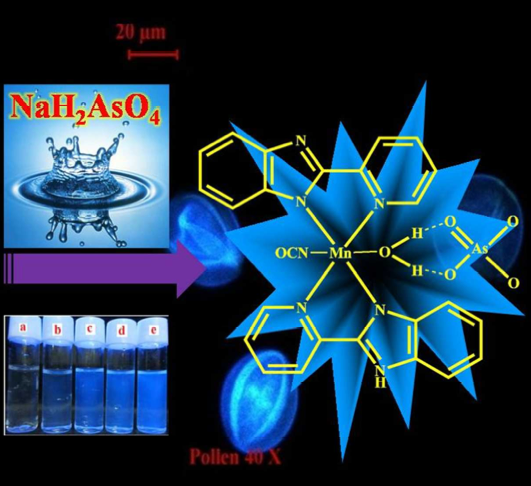 In this NJC article, Ji-Na Hao and Bing Yan (Tongji University, Shanghai) report the preparation of new polymer thin films co-doped with lanthanide complexes and zeolite A. The lanthanide complexes are embedded into the cages of the zeolite, leading to host–guest materials with markedly enhanced thermal- and photo-stabilities. All the materials are transparent and maintain the luminescent properties that are characteristic of lanthanide materials, emitting light with tuneable colours depending on the lanthanide used. Arsenic is a notoriously poisonous element and arsenate (HAsO42-) contamination of drinking water is a problem that affects millions of people worldwide. In this NJC Letter, Debasis Das (The University of Burdwan, India) and Jesús Sanmartín Matalobos (Universidade de Santiago de Compostela, Spain) present a Mn(II) complex that forms intermolecular hydrogen bonds with HAsO42-, leading to higher molecular rigidity and fluorescence enhancement. This new “turn-on” fluorescent probe allows both the quantification of the HAsO42- anion in aqueous media and its detection in contaminated living cells under microscope. The authors were able to measure HAsO42- concentrations in the sub-nanomolar range, far below the World Health Organization’s standard for drinking water. Interested in reading further? Why not download the full article now, FREE to access for a period of 4 weeks! New J. Chem., 2014, DOI: 10.1039/C3NJ01514A. We welcome you to NJC’s first issue of 2014. The new year gets off to a good start with the publication of high-quality, original and significant research works that display nanomaterials, ab initio calculations, biocatalysts, soft materials and much more. The outside front cover highlights a Focus article from Riccardo Marega and Davide Bonifazi (University of Namur, Brussels, and University of Trieste, Italy) that was aimed at presenting the most significant examples in which carbon nanotubes, hosting suitable molecular species in their hollow cavity, are used for bioimaging and drug delivery applications. “Filling carbon nanotubes for nanobiotechnological applications”, Riccardo Marega and Davide Bonifazi, New J. Chem., 2014, 38, 22-2. DOI: 10.1039/C3NJ01008B. NJC issue 1, 2014 inside front cover was produced by Jean-Cyrille Hierso (Université de Bourgogne, France), Peter R. Schreiner (Justus-Liebig-Universität, Germany), and co-workers. In this Perspective article, the authors provide an overview of the (poly)functionalization of face-fused adamantane cages (i.e., diamondoids) and their applications in fields such as organocatalysis, polymers, molecular electronics and mechanics. “Diamondoids: functionalization and subsequent applications of perfectly defined molecular cage hydrocarbons”, Maria A. Gunawan, Jean-Cyrille Hierso, Didier Poinsot, Andrey A. Fokin, Natalie A. Fokina, Boryslav A. Tkachenko and Peter R. Schreiner, New J. Chem., 2014, 38, 28-41. DOI: 10.1039/C3NJ00535F. You can access and read the whole issue available online at: NJC 2014, Issue 1. Leave us a comment and let us know what you think! We wish you a happy new year 2014! Let’s meet the people behind the papers! This month, two authors kindly took some time to answer a few questions for us. Our first author is Yasuhiro Shiraishi who is Associate Professor at the Research Center for Solar Energy Chemistry of Osaka University (Japan). 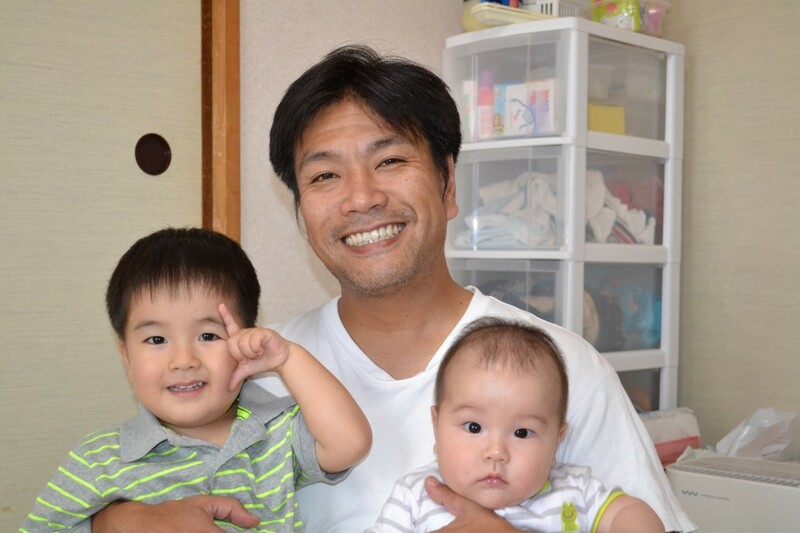 Yasuhiro’s research interests are focused on the design of photocatalysts for selective organic transformations and fluorescent molecular devices driven by light. The article by Yasuhiro and his co-authors reports the synthesis of a spiropyran-cholesterol that undergoes reversible color and phase transitions upon heat and light stimuli. These properties were successfully applied to the creation of a material for information storage, easily writable and erasable by simple light irradiation. 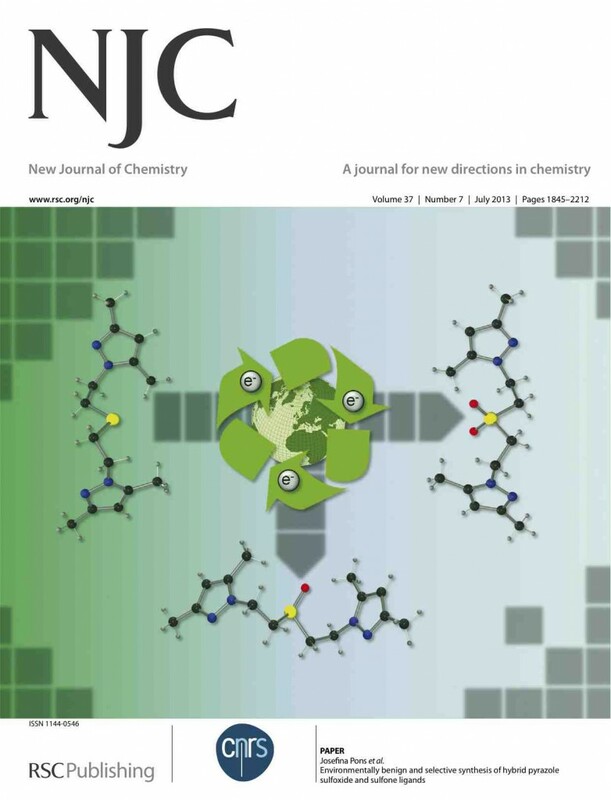 The interdisciplinary nature of the work, involving polymer chemistry and photochemistry made NJC a logical choice in the authors’ eyes. Besides being a research scientist, Yasuhiro’s dream job would be professional footballer. And not surprisingly, his primary focus outside of the lab is to raise his two boys to be as good footballers as Leo Messi. Antonio Frontera is Full Professor of Organic Chemistry in the Department of Chemistry at the Universitat de les Illes Balears (Spain). His research is in the field of Theoretical Chemistry, with an emphasis on the study of non covalent interactions. The authors chose NJC to publish this research work because the journal is addressed to a cross-disciplinary and wide readership. 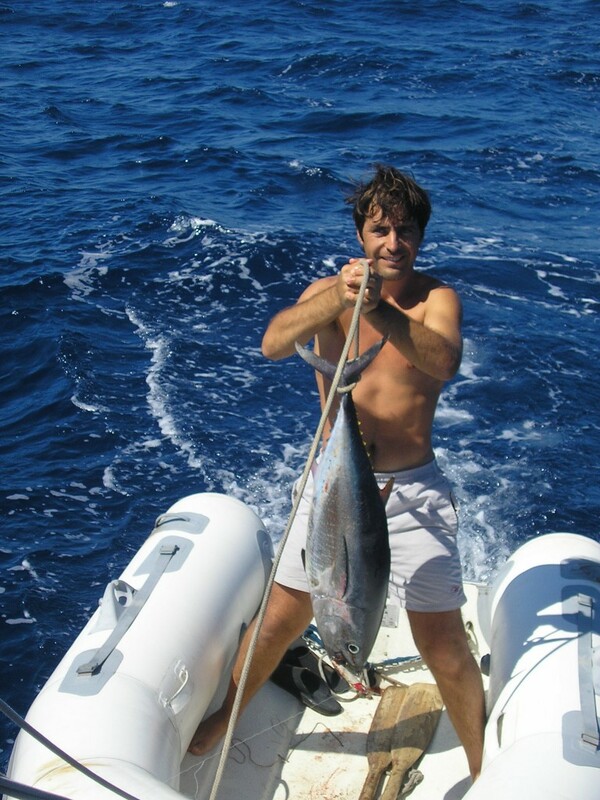 Playing basketball in wintertime and fishing in summertime are Antonio’s favorite activities besides chemistry (see the photo: nice catch!). If he could not be a scientific investigator, Antonio would be a private investigator. To stay up-to-date with the latest NJC news, sign up to its NJC Blog RSS. We are delighted to present this month’s issue: you are guaranteed to find articles of relevance to your specialist interests! The front cover this month highlights a collaborative research effort between groups at the University of Bath (UK), the University of Birmingham (UK), and the University of Kitakyushu (Japan). The authors have designed a novel electrochemically active sensor film based on pyrene-appended boronic acids on carbon nanoparticles. Peak responses with sensitivity to caffeic acid in the micro-molar range were observed. Efficient chemical and electrochemical methodologies for the oxidation of sulfur organic compounds are featured on this month’s inside cover. The group of Josefina Pons at the Universitat Autònoma de Barcelona used these new approches to synthesize sulfoxide and sulfone ligands in good yields. You can access and read the whole issue 7 of NJC here. Don’t miss a single issue of NJC! Sign up for the free E-Alert to get the table of contents in your mailbox each month. Two NJC poster prizes were awarded during the Paris 2013 Symposium on Foldamers, which was held at the “Les Cordeliers” Conference Centre. Elisabeth K. Nyakatura, who received her BSc in chemistry from the Freie Universität Berlin, Germany, in 2007. She then joined the London School of Hygiene and Tropical Medicine and successfully completed a MSc programme in Molecular Biology of Infectious Diseases. 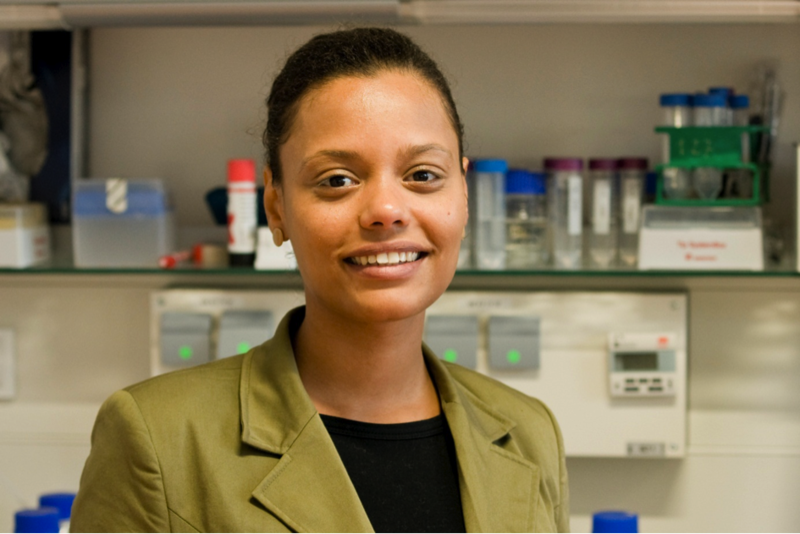 After graduating from London in 2008, Elisabeth returned to the Freie Universität to pursue her PhD in the group of Prof. Koksch.Her research is now focused on the application of phage display to identify preferred interaction partners of chemically modified amino acids in helical protein environments. She also implements the unique properties of these nonnatural building blocks in the development of biological active peptides. It is this interface of chemistry and molecular biology that accounts for Elisabeth’s interest in using chemical means to address pathogen-host interactions. Liam Byrne was born in Wegberg, Germany in 1984. He received his undergraduate and postgraduate education at the University of Leeds; the latter with Prof. Steve Marsden, working on the development of new synthetic applications of the catalytic aza-Wittig reaction. Liam is currently employed as a post-doctoral research associate with Prof. Jonathan Clayden at the University of Manchester. His research has sought to maximise conformational control in a class of helical foldamers and exploit this to achieve stereoselective transformations over long (nanometre) distances. NJC wishes them continuing success in their research! Heterocyclic N-oxides are ubiquitous protecting groups, auxiliary agents, oxidants, catalysts, surrogates for heterocyclic boronic acids or ligands in metal complexes. In addition, pyridine N-oxide derivatives have been recently reported to represent a new class of anti-HIV compounds. In this NJC letter, Wei Zhao and Chunxia Yang (Nanyang Normal University, China) report an effective and green procedure for pyridine oxidation using the large Δ-Na8HPW9O34 polyoxometalate as catalyst. In this system, reactions were carried out in water at room temperature with hydrogen peroxide as oxidant. The catalyst could be recovered and reused several times without obvious loss of activity. “A green catalytic procedure for oxidation of pyridines catalyzed by a lacunary polyoxometalate in water at room temperature” Wei Zhao and Chunxia Yang, New J. Chem., 2013, Advance Article. DOI: 10.1039/C3NJ00149K (Letter). Interested in reading further? These “Hot articles” will be FREE to access for a period of 4 weeks. To stay up-to-date with the latest NJC developments, sign up to its table-of-contents email alert. Two authors of NJC’s April Issue are interviewed for this month’s Meet our Authors feature. Our first author is Kathleen Mullen, who is an Australian Postdoctoral Fellow and a Lecturer at the Queensland University of Technology. Kathleen’s research is in the broad field of supramolecular chemistry, but she is particularly interested in incorporating porphyrins into interlocked architectures, anion sensors and molecular machines. The article by Kathleen and her co-authors looks into he construction of interlocked architectures that will have interesting photo-and electrochemical properties. Porphyrins and bipyidinium moieties are perfect targets for such purposes, however the range of chemical reactions that are compatible with both species is relatively limited. The work in this paper set out to gain a better understanding of the size/structure of strapped porphyrin macrocycles and broaden the synthetic tools available for he construction of rotaxanes incorporating these motifs. When not working, Kathleen loves to travel: “Its even better that our work enables us to travel so much. 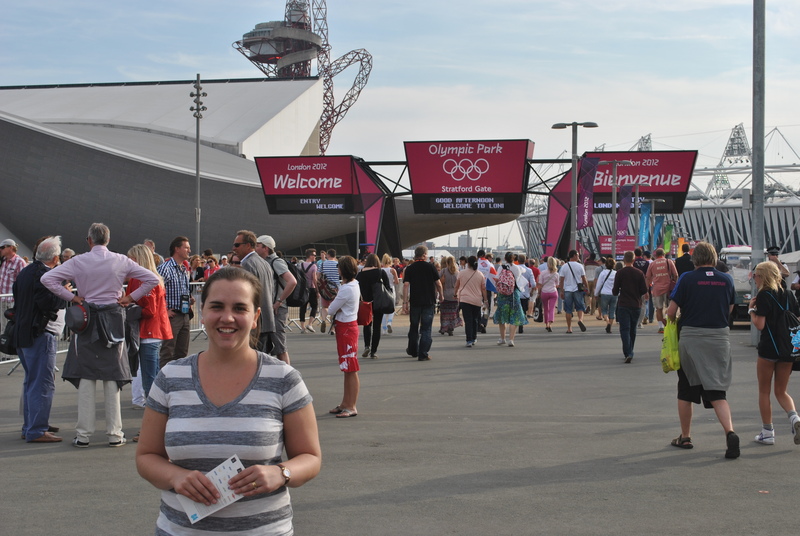 Last year my visit to the University of Cambridge also coincided with the Olympics which was an amazing experience.” (see photo). If she could not be a scientist, Kathleen would be a food critic. She thinks that it would be a great way to travel the world, tasting gourmet food along the way. The second author is Ian Fairlamb, who is a Professor of Chemistry at the University of York (UK). His research group is currently working on catalysis, synthetic chemistry, mechanistic examination and carbon monoxide therapeutics. For several years Ian has been intrigued by macrocyclic aryl ketone natural products, and their derivatives. He and co-workers noted that efficient synthetic routes to these types of structures were limited. Therefore they developed and exploited a Pd-catalysed protocol for aryl ketone synthesis. Silyl deprotection of the resultant products and a subsequent Mitsunobu reaction gave access to both 16-membered and 17-membered macrocyclic compounds. Outside the laboratory, Ian has several favourite activities, including playing the guitar and being outdoors for gardening, walking in the hills, running and cycling. 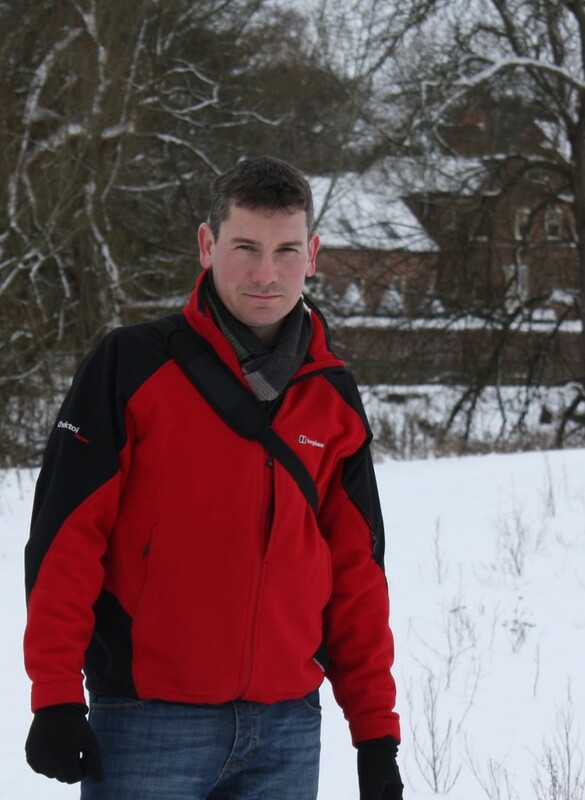 His favourite books include ‘Comfrey’, by Lawrence D. Hills and ‘Memoirs of a Fellwanderer’ by Alfred Wainwright. We would like to thank to our authors for making time in their busy schedules to answer these questions for us. Why not submit your high impact research to us today! 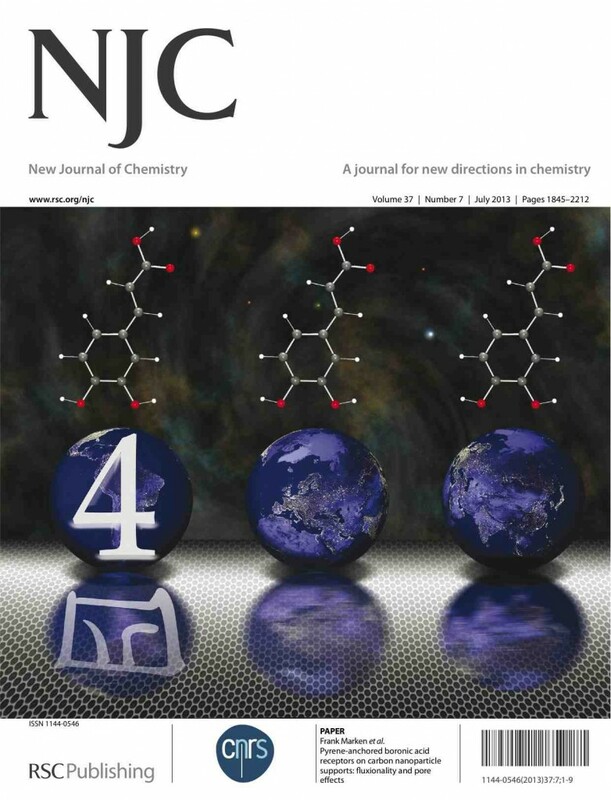 NJC Issue 3 out now! We are pleased to introduce you to our latest issue. Whether you are a theoretical, material, synthetic or biological chemist, you are guaranteed to find articles of relevance to your specialist interests! The outside front cover highlights a paper by Thomas Maschmeyer and co-workers (University of Sydney, Australia), reporting atomically dispersed as well as highly uniform nanoparticules from bismuth oxide impregnated silicas. Due to quantum confinement, these mesostructured materials displayed unprecedented blue shifts as compared to bulk Bi2O3, and could find practical applications such as energy conversion or photocatalysis. “Unprecedented blue-shift in bismuth oxide supported on mesoporous silica” Antony J. Ward, Anne M. Rich, Anthony F. Masters and Thomas Maschmeyer, New J. Chem., 2013, 37, 593-600. DOI: 10.1039/C2NJ40847C. The inside front cover was produced by Christine Gérardin-Charbonnier and co-workers (Université de Lorraine, Vandoeuvre-Les-Nancy, France). In this paper, the authors describe a supramolecular hydrogel resulting from the mixture of a cationic pseudopeptide and lauric acid. The subsequent thermo-responsive aggregate displays a lamellar structure and could be a promising candidate for original biocompatible formulations in cosmetics or pharmaceuticals. “A supramolecular hydrogel based on an original pseudopeptidic catanionic surfactant” Firmin Obounou Akong, Andreea Pasc, Mélanie Emo and Christine Gérardin-Charbonnier, New J. Chem., 2013, 37, 559-562. DOI: 10.1039/C2NJ40960G. You can access and read the whole of issue 3 here. Stay tuned to NJC! Sign up for the free E-Alert to get the table of contents in your mailbox each month.